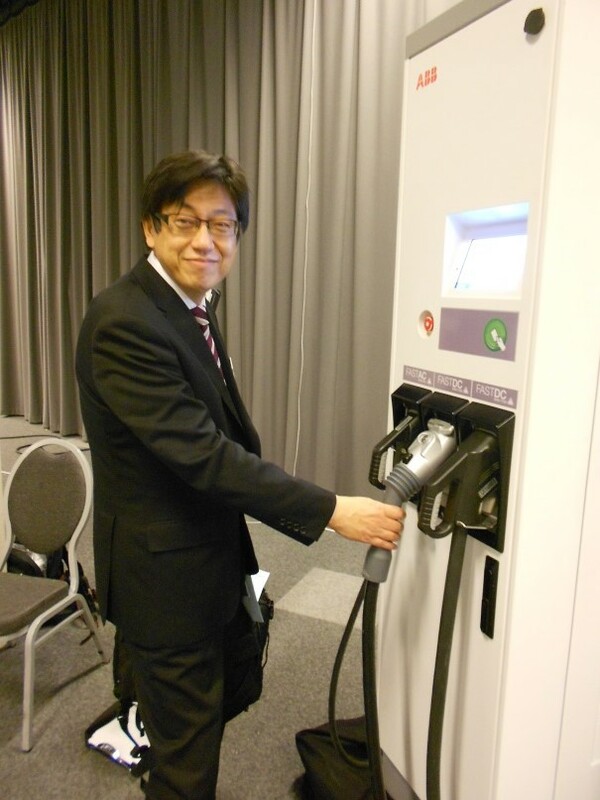 CHAdeMO founder Takafumi Anegawa gave a presentation at the 2nd World EV Summit in Norway on May 15th and asked automakers for collaboration to support all EV users by deploying multi-standard fast chargers. His speech was echoed by Christian Bischke, representing Carmeq, Volkswagen Group, and Olivier Paturet, representing Nissan Europe, who also advocated for the deployment of multi-standard fast chargers. This was the first ever event where speakers from CHAdeMO, Nissan, and VW groups advocated for the same solution for EV fast charge infrastructure. 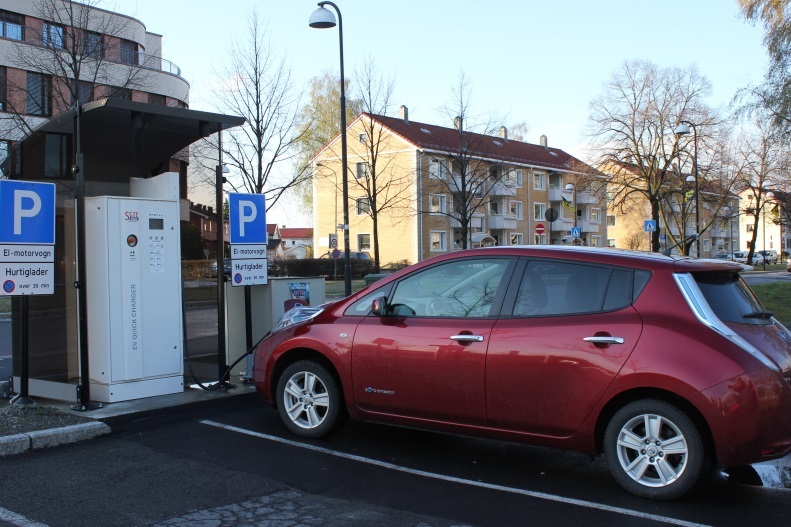 The 2nd World EV Summit was held on 14-15 May in Lillestrøm, Norway, and gathered over 150 senior industry specialists from across the EV value chain, including auto makers, charger manufacturers, operators and municipalities. In this conference, Takafumi Anegawa, the founder of CHAdeMO and Managing Executive Officer of TEPCO (effective 26 June), gave a speech looking back on his decade-long involvement in leading development and commercialization of the CHAdeMO DC fast charge protocol. Reflecting on his observation at an EV conference in California in 2000, he told the story of a US auto engineer criticizing the local government that chose specific charging technology over another for “killing the EV”. Mr. Anegawa then shared with the audience his original motivation to become the” facilitator and lubricant” for all auto makers by providing the infrastructure protocol that was open to all. Since 2009 when the first installation of CHAdeMO based fast charging infrastructure took place, there has been a sharp uptake of EVs globally. 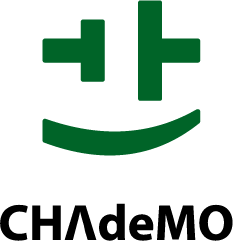 However, Mr. Anegawa has re-emphasized the position of CHAdeMO, that it is an industry association that tests the compatibility of chargers and vehicles, and not for the profit of any particular company. Going back to his experience in 2000, he stressed the importance of CHAdeMO keeping to its mission of supporting all EVs and any/all auto manufacturers who want to promote EVs. As a conclusion, Mr. Anegawa has asked all automakers to collaborate, rather than compete, on the EV charging infrastructure in order to support every EV user. In the following session, Christian Bischke from Carmeq, a Volkswagen subsidiary, has presented his group’s view on the fast charge standard. Quickly touching on the history of the development of their charging interface, the CCS combined protocol (“Combo”), Mr. Bischke told the audience that the Volkswagen group would use the Combo interface for all of their EVs. That said, he admitted that while VW EVs were coming up, there were no charging station available, and strongly advocated for multi-standard chargers, which can serve all EVs that are equipped with CHAdeMO or Combo DC fast charge interface. 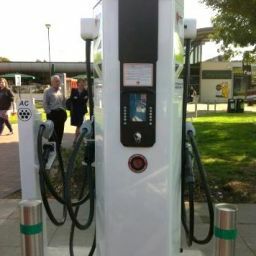 He has further explained the economics of building a Combo-convertible CHAdeMO charger, saying that 5% of additional cost could convert a CHAdeMO charger to a Combo-CHAdeMO multi-charger, and that such “Combo-ready CHAdeMO chargers” are being released in the market by major charger manufacturers. Mr. Bischke gave an example of an EU-funded project, where multiple automakers work together to serve all types of EV users, and emphasized the importance of deploying such multi-standard chargers saying “We want the customers to choose the car, not the charge stations”. Prior to Mr. Anegawa’s speech, Olivier Paturet, representing Nissan, had also given a speech in which he advocated for multi-standard fast chargers. He said that “It is unusual to hear from an automaker the product names of competitors, but major automakers sat down and agreed that we needed a solution for fast charging in order to foster the most positive environment both for consumers and investors alike”. 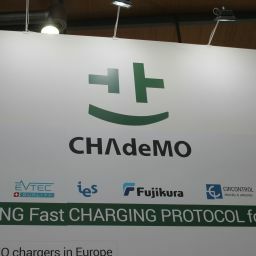 This was the first time that speakers from both CHAdeMO and Volkswagen groups spoke of the same goal of deploying multi-standard chargers in order to service all EV users in an international conference.